More than 10 years of children's publications for a UK charity. Scripture Union is an international, inter-denominational Christian charity, working in partnership with individuals and churches across the world. We have worked with SU on a range of publications over the years and for more than a decade on their quarterly Splash! for Children magazine and associated material. 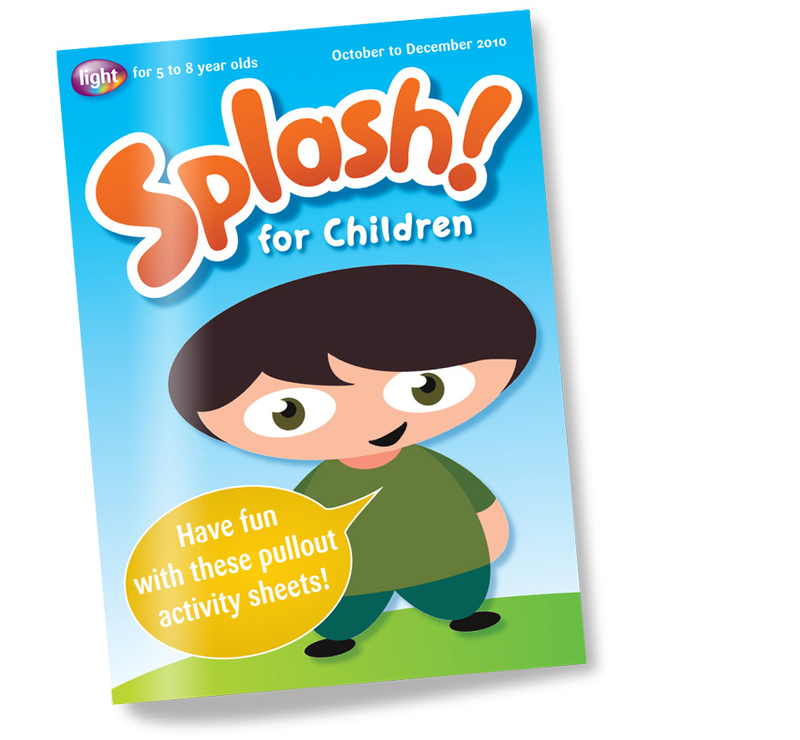 Each issue of Splash! 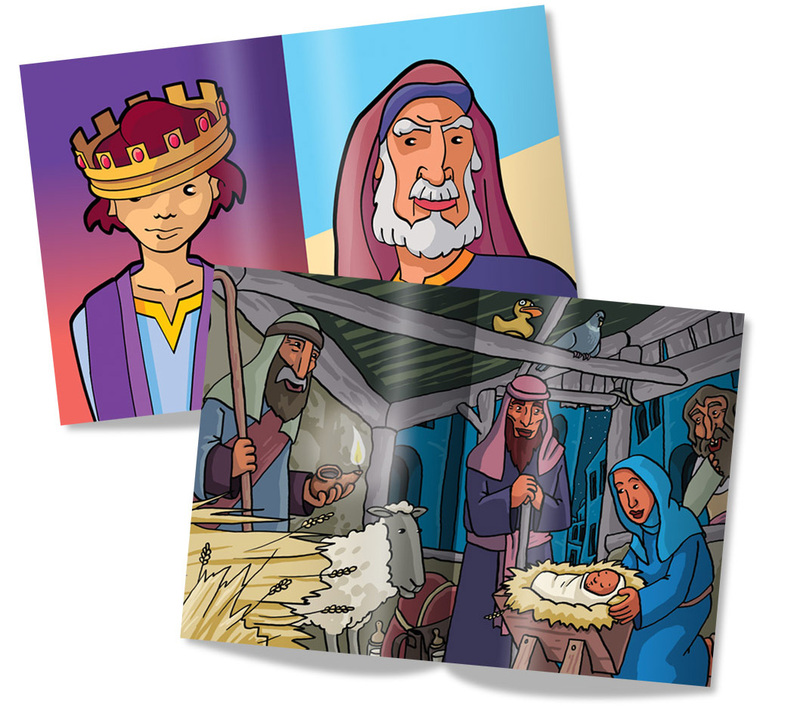 contains 3 months of Sunday School activities - cutting, making, cartoons, quizzes, colouring, puzzles, songs, drawing - all designed to appeal to 5 to 8 year olds. Above: We based the Splash! kids on our own children and their friends. 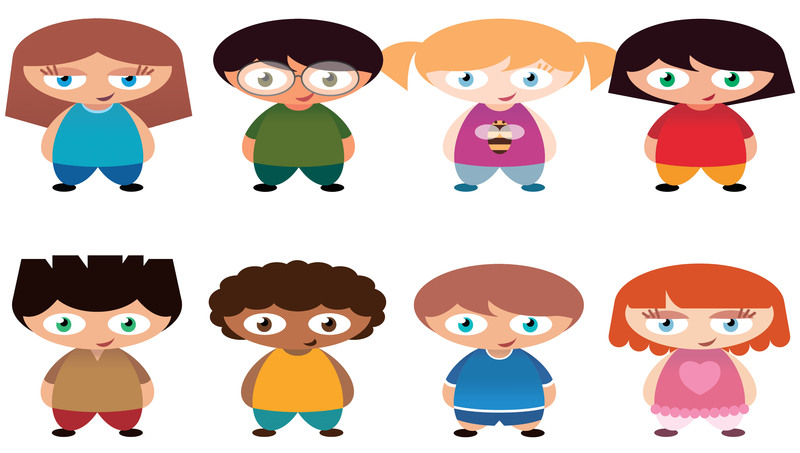 We developed distinct illustrative styles for various contexts, designed and illustrated hundreds of pages of activities, and created a collection of characters who appear throughout the magazine talking to the children – giving instructions, asking questions and so on.